Urine in your carpeting is a severe problem and requires major restoration work. Pet urine cleaning is not just a simple DIY cleaning and treating. 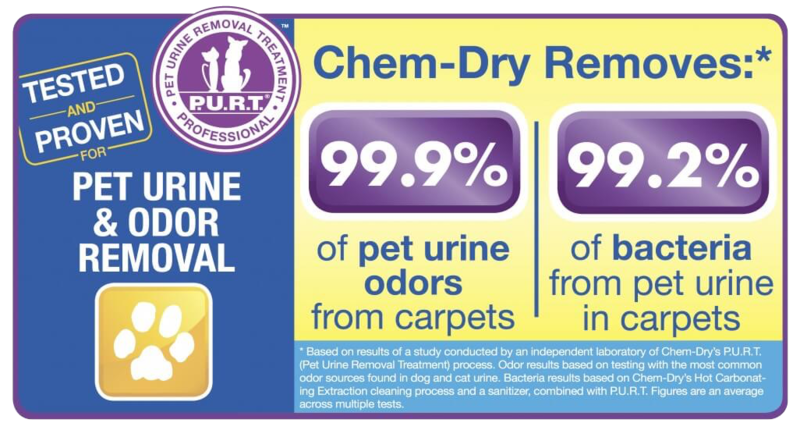 With our revolutionary Chem-Dry Pet Urine Removal Treatment® product, even severely urine damaged carpets and area rugs can be saved. P.U.R.T. 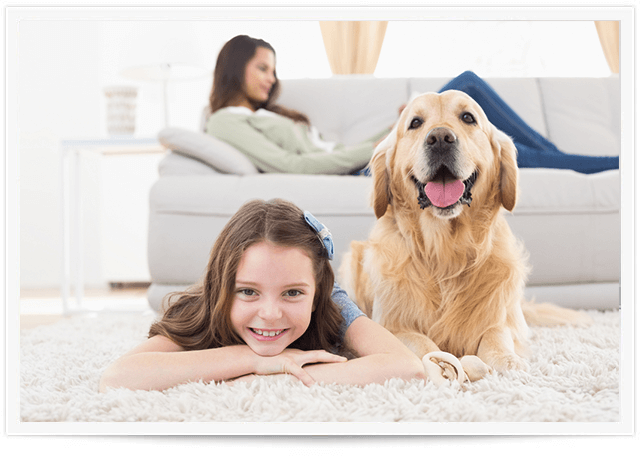 is a revolutionary carpet cleaning product and is specially formulated to eliminate urine odors. This product has shown excellent results on even the most severe urine damaged areas and other odor-causing spots. It works to stop the smell at its source instead of simply masking the odor. Watch this short video to see how our pet stain removal process works! Urine deposited on carpet does not stay on the surface. It is able to penetrate through your carpet ﬁbers and contaminates both the backing of the carpet and the ﬂooring material below. Often, without us even knowing, pets will continually urinate in the same general location. Urine odors can permeate from the ﬂoor, whether they are cement or wood, and attach to everything in your home. It can go as far as the framework of your house behind the walls. As urine dries, the liquid evaporates, but the urine crystals become even more concentrated and pungent. Simple surface cleaning does not help remove pet urine odor. Until recently, it was almost impossible to find a carpet cleaning product that could effectively remove urine odors. P.U.R.T.® contacts the source of the odor and immediately begins a chemical reaction and destroys the urine odor. The source and severity of the odor are determined. Then, the carpet will be rinsed and extracted with a hot water rinse to remove the bulk of the urine crystals.